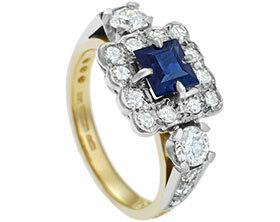 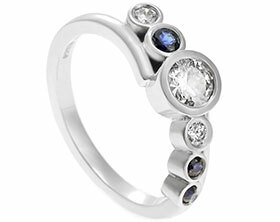 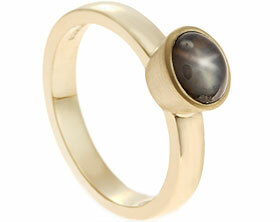 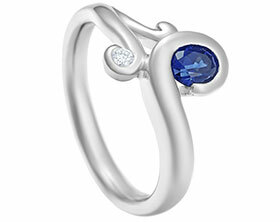 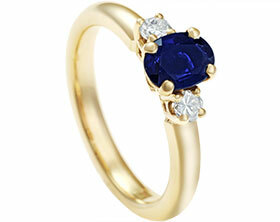 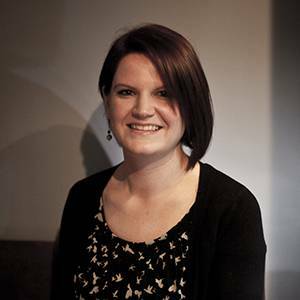 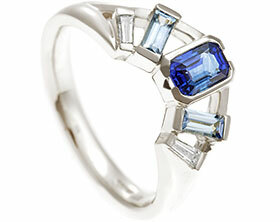 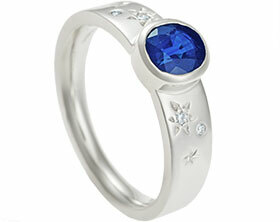 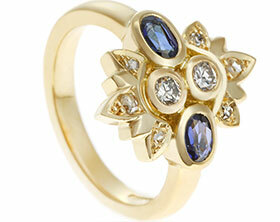 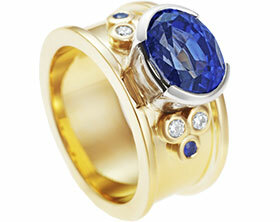 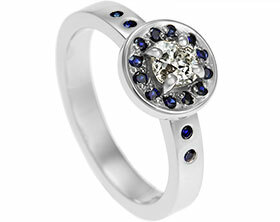 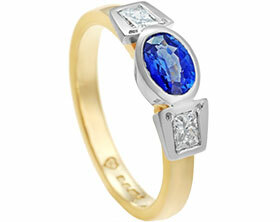 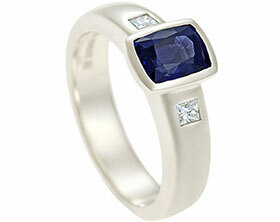 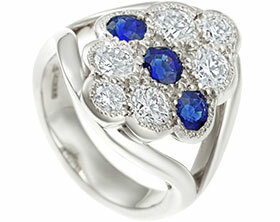 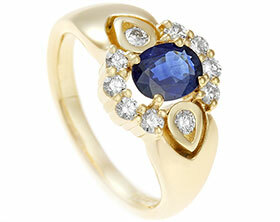 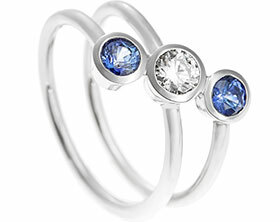 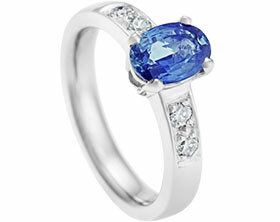 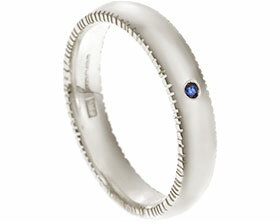 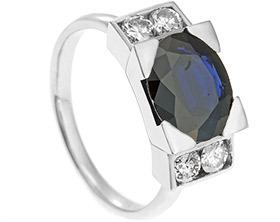 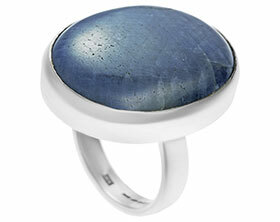 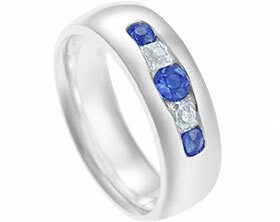 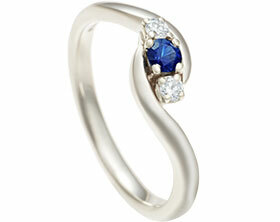 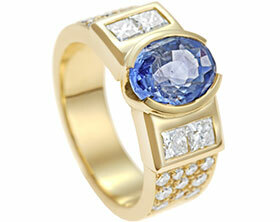 Sheila had a beautiful sapphire that she wanted to have re-set into a dress ring. 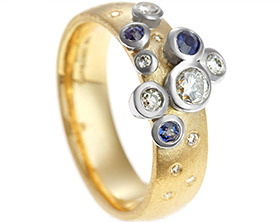 The stone was looking a little worn, so we re-polished the stone to define the worn facets and set the stone in a yellow gold all around setting which really made the colour striking. 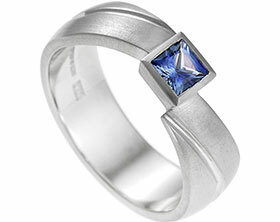 The band was made in white gold and given a polished finish. 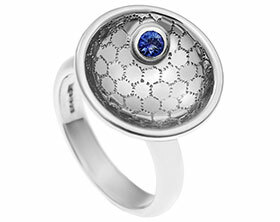 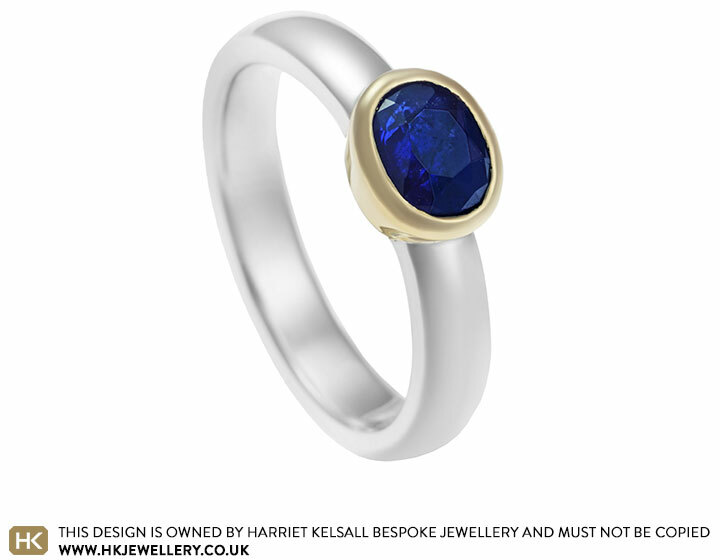 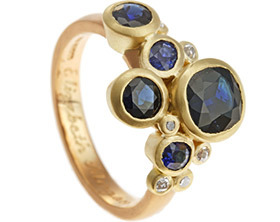 The contrast in the colours of the metals works brilliantly with the rich blue of the sapphire and gave Sheila a contemporary ring that she could really enjoy wearing every day.